Backupper is powerful and free, though its folder backups are a bit slow. Would you rather pay $50 for your backup software, or get it for free? All things being equal, and with the free Aomei Backupper Standard they pretty much are, we’re generally going to opt for the latter. Backupper even sports real-time sync, mirroring files to an external folder whenever changes occur. Backupper Standard’s bitmapped interface may be retro, but the layout and workflow are so intuitive, even beginners should have few problems figuring out what to do. At least you have some idea of backup concepts involved. We spotted a couple of mild interface glitches in Aomei Backupper. When you increase the size of Windows objects in the Display Preferences (to 125% in this case), Backupper’s window actually shrinks. There are other tiny scaling glitches, such as the bottom of a dialog cut off, but nothing that renders the program unusable. Hopefully this will be addressed soon with a new look and a rendered (drawn in real time), not static bitmapped GUI. 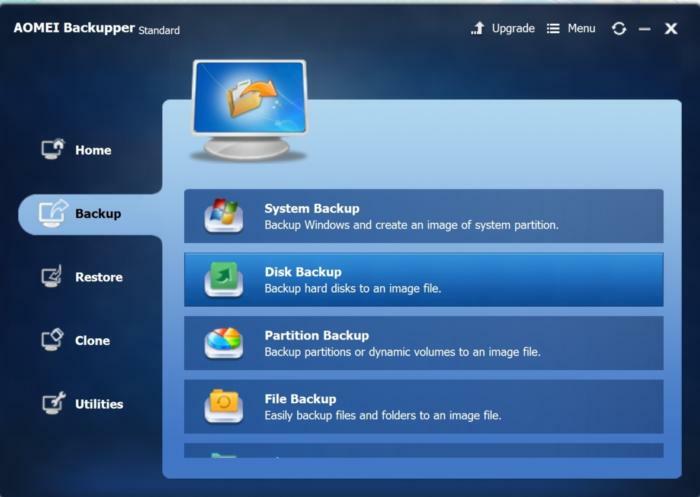 Imaging of your entire system, whole disks, single partitions, or sets of files is available with Backuppper. Despite being free, there’s little missing from Backupper Standard’s feature set, which includes: imaging, file backup, disk cloning, and plain file syncing. There are a plethora of scheduling options as well as syncing, including the aforementioned real-time synchronization. Syncing isn’t true back up—it’s keeping a mirror of your important data in another location—a great hedge against losing recent work. 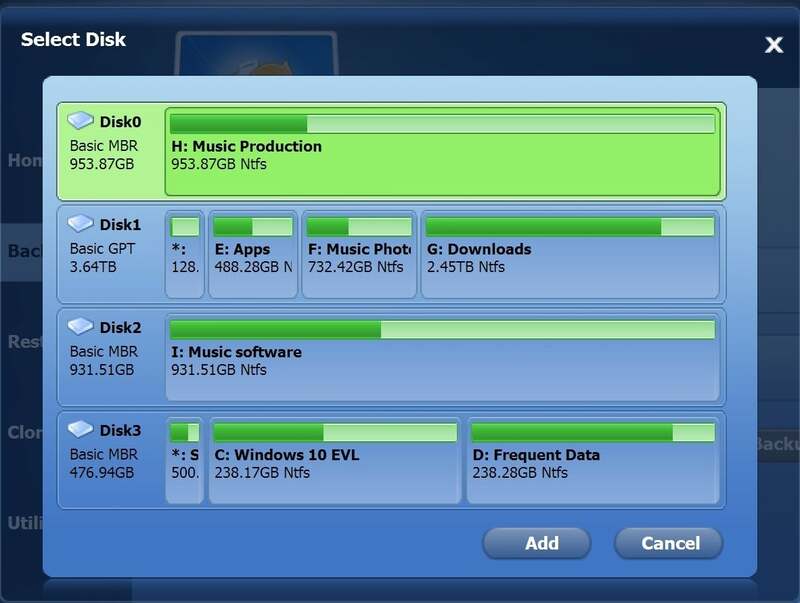 Backupper Standard will image entire drives or partitions, verify them, and mount them so you can grab a few files from one. The pay version adds imaging of dynamic volumes, and merging images—tasks few end users will ever need to perform. The system cloning offered in the $40 paid version ($50 if you opt for lifetime free upgrades) could be very useful, as could the network boot function. But that’s speaking from an IT perspective. Aomei provides both Linux and Windows PE boot images, which can be burned to CD or installed on USB drives. Backupper Standard’s performance was the yin and yang in our roundup. It was the fastest backing up disks and partitions, but easily the slowest backing up sets of files. On the other hand, CPU usage was light, and speed isn’t of much consequence for a task running in the background. Aomei Backupper Standard has a fairly heavy footprint, spawning three background processes: the core, shadow copy, and a scheduler. We often wonder why companies ignore a perfectly good scheduling app (Window’s own) that’s already running in the background. To be fair, Acronis True Image spawns six background processes. Don’t get us wrong: It’s great that companies keep their help files online so they can be constantly updated, but there should be local help as well, just in case. Like just in case you can’t get on the Internet and need to back up you PC right now! 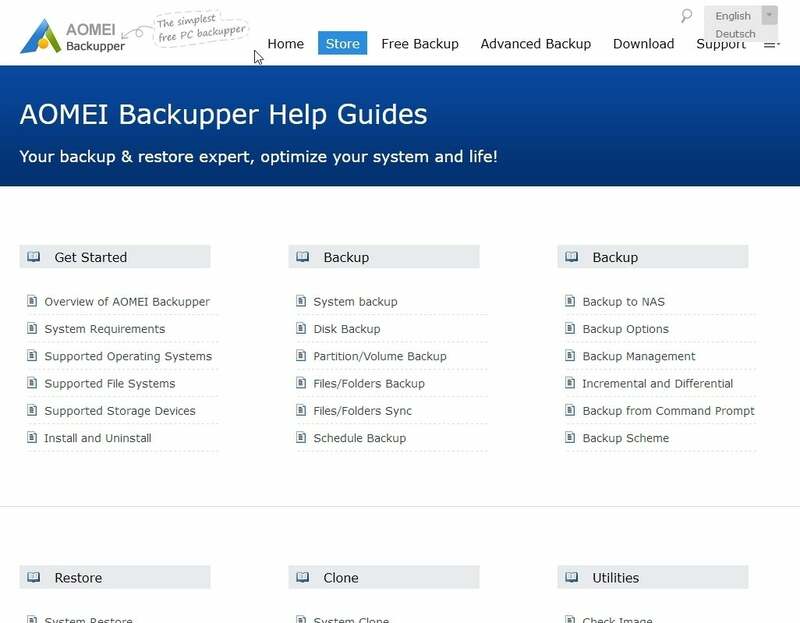 Even tool tips would be useful, but as with EaseUS ToDo Backup, there are none. This is an exceedingly minor complaint and probably out of line considering the program’s price. Backupper help is only available online and there are no tool tips. On the other hand, if you know backup, your probably won’t need them. Also, after making a comment like that, we should point out that we’ve never had the slightest operational difficulty with Backupper. All backups and restores have gone off flawlessly. And here’s a link to the PDF help that you can keep for offline use.